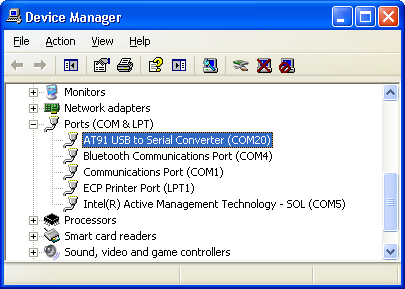 You can access the serial console through the on-board serial-USB converter. 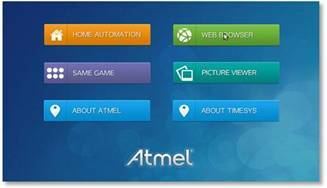 In fact, the Cortex-M3 chip underneath the Evaluation Kit acts as a serial-to-USB converter and is loaded with a firmware that is able to speak USB-CDC. For Microsoft Windows users: Install the J-Link CDC USB driver . No need to install a driver on any regular Linux distribution. 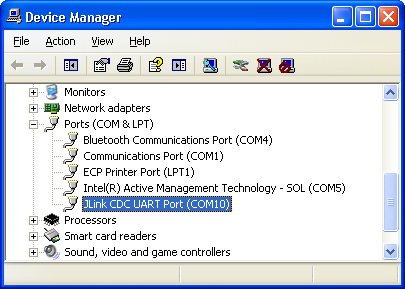 JLink CDC UART Port should appear in Device Manager. The COMxx number will be used to configure the terminal emulator.